Stewart was recognized by the City of Raleigh at this year’s Sir Walter Raleigh Awards for Community Appearance in the commercial category for its role in the creation of two commercial buildings that have had a positive impact on Raleigh’s visual environment: The Dillon, the first high-rise of its kind in downtown Raleigh’s Warehouse District, and Investors Management Corporation’s (IMC) headquarters, a renovated hilltop building that embraces the fabric of its existing site as it overlooks downtown Raleigh. Presented by the Raleigh Appearance Commission, the annual Sir Walter Raleigh Awards for Community Appearance honor outstanding new contributions to the character, environment and appearance of the City of Raleigh. Stewart was recognized alongside partners and other award winners during a ceremony on Oct. 16 at Raleigh Union Station. Stewart played an integral role across disciplines to design and develop The Dillon and the IMC headquarters, collaborating with key partners to help bring the spaces to life. The Dillon is the monumental Kane Realty property in downtown Raleigh’s evolving and vibrant Warehouse District. The high-rise embraces the district’s modern urban spirit and historic nature, in part by preserving and integrating elements of the original Dillon Supply Co. warehouse into the project. Stewart’s structural team engineered the 18-story office tower and two mixed-use housing structures with integrated parking deck, and secured the salvaged historic sections. The firm also provided planning and design, geomatics, and geotechnical and construction services throughout the project. 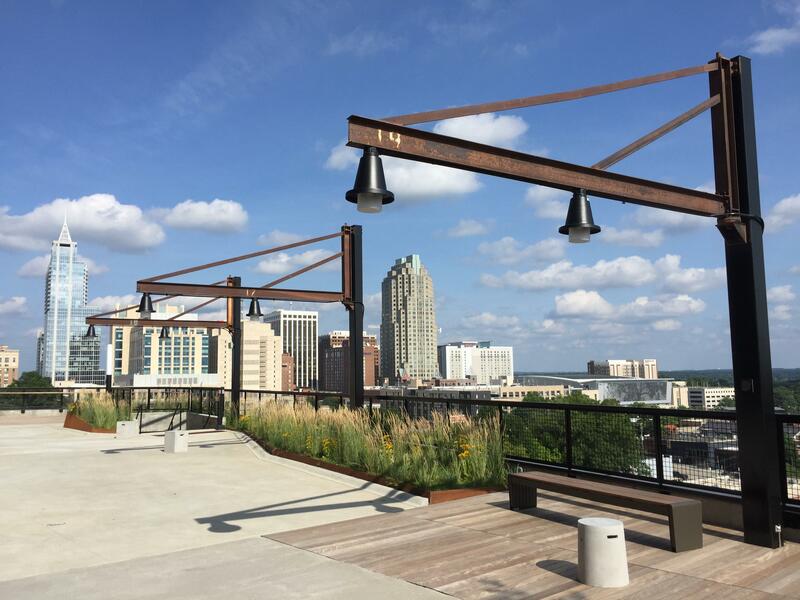 Located on a hilltop overlooking downtown Raleigh, the building that was once a 16,000-square-foot storage facility is now home to IMC, a boutique Raleigh-based investment firm. Stewart provided civil engineering and landscape architecture services, collaborating with key partners to help convert the storage facility while embracing the existing warehouse and the fabric of the surrounding neighborhood.